Public lands planning & management | Resource Systems Group, Inc.
RSG is nationally recognized in the field of public lands planning and management, which is integrated with our transportation planning, engineering, and design services. 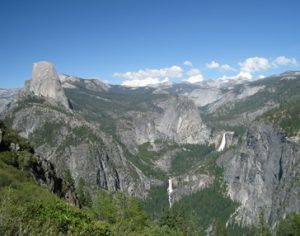 A primary focus of our work in this area is to support decisions that seek to reconcile tensions that often exist between accommodating public demand for outdoor recreation on public lands and protecting the natural and cultural resources of these areas and the quality of visitors’ experiences. We use our expertise (e.g., visitor use management, transportation, simulation modeling, social science, and acoustics) to help clients address nationally significant issues, including transportation alternatives planning, visitor use and user capacity management, scenic air tour management, transportation facility design, and policy development. We work closely with public lands agency officials and their stakeholders to translate project results into meaningful strategies for on-the-ground management and planning.